Here are some easy Instant Pot chili recipes that we love! If you’re looking for a Weight Watcher, Low Carb or Vegetarian chili recipe we have one for you here. Simple and easy to dump in your pressure cooker and one in less than 30 minutes tops. Tis the season for all things chili. Who doesn’t love the idea of snuggling up on the couch, with a nice steaming bowl of chili? Sounds like the perfect end to a super long winter. If you are anything like me, your love of chili is widespread. 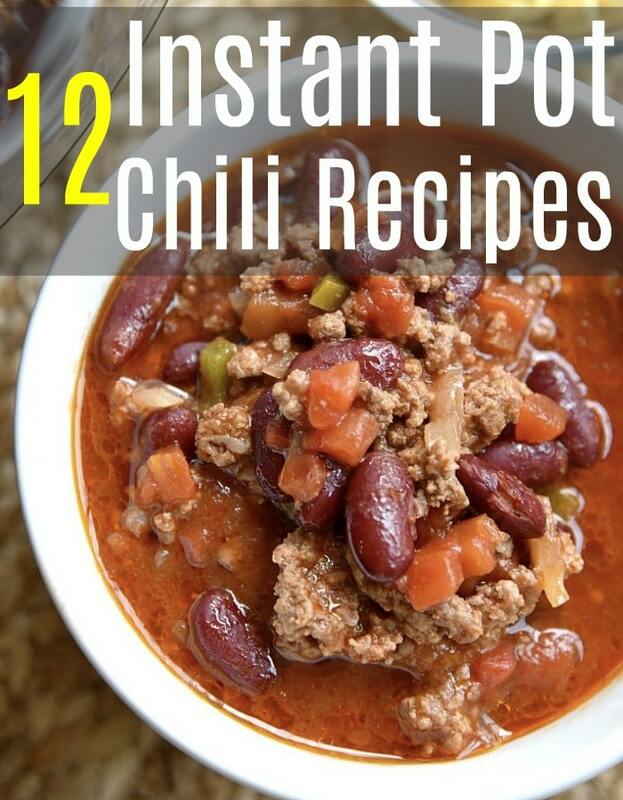 Who knew there were so many great chili recipes out there, and now they can be cooked in no time at all when you try these Instant Pot chili recipes!! Chicken chili, spicy chili, meatless chili, no bean chili…all waiting to be tried, all yummy and wonderful. Trust me, these taste buds love each and every one of them. Now, take it up a notch and wrap your mind around all these awesome chili recipes being cooked in an Instant Pot (this is the one I have). Amazing, right? If you’ve never heard of the Instant Pot, you are missing out. It’s really become quite popular this year for several different reasons. First, it lowers the cooking time on items by almost 70%. Seriously. That’s a ton of time savings. 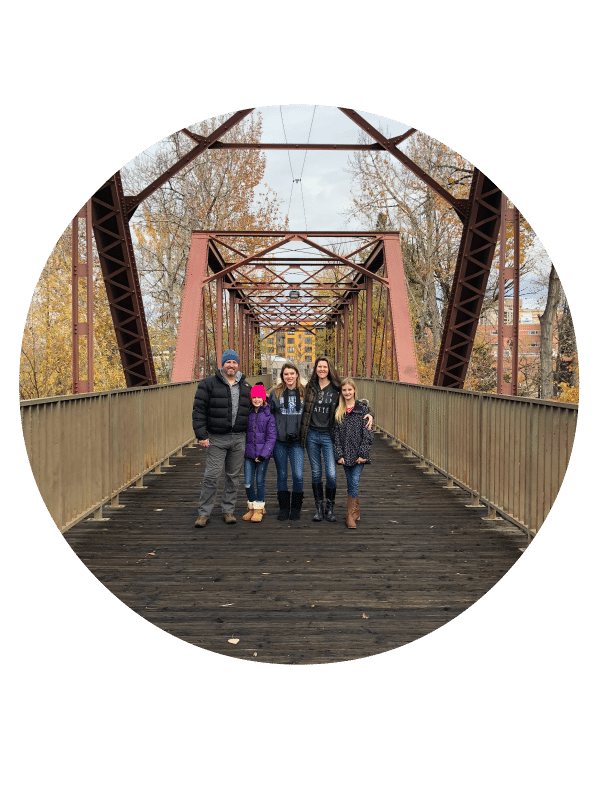 Think what you could accomplish during your time you are supposed to be cooking away on an extravagant chili dinner just by dumping it all in your instant pot and walking away? You could have 70% more time to read a book, clean up your kitchen, take a walk…all because your Instant Pot rocks. Not only does it save a ton of cooking time, but it eliminates any smells that may come from your cooked food. Love cooking chili but don’t want to smell it for the next several days? No fear, it’s not an issue with the Instant Pot. 5 Ingredient Instant Pot Chili. This is a recipe we have been making for years and not only does it just have 5 ingredients but takes only about 15 minutes to cook! This is how you make Ninja Foodi chili too. Green Chili Bowls If you like your chili with a bit of spice, this may be the one for you. Have fun adding as many, or few, jalapenos as you can stand! Football Chili. Football season may be over, but chili season isn’t. This can be an “any sport” chili in my opinion. Shelly’s Best Ever Chili. You may be wondering who Shelly is? Shelly is the creator of this best ever chili. Her recipe is super hearty and even has a fun secret ingredient. Gluten-Free 25 Minute Chili. Quick, easy and even offers an option to change out the meat to turkey meat for an even healthier twist. Hearty Red Gaps Chili. Looking for a chili that makes a large batch for leftovers? This is one for you to check out. Chili dogs with leftover chili sounds awesome. Vegan Sweet Potato Chili. This chili takes less than 20 minutes to make. Seriously. Keto Low Carb Chili. Paleo and gluten-free chili with no beans? Check it out right here! This chili is a thicker, chunkier style chili that is also great for freezing for later use. Cincinnati Chili. You may be wondering what makes this chili be called Cincinnati chili? It’s all in the way the beef is cooked. To be considered true Cincinnati chili, the beef is actually boiled first. Intrigued? Give the full recipe a read! Best ever Instant Pot Chili. The name says it all. This chili is a must-try! Zero Points Weight Watcher Chili. If you participate in the Weight Watcher’s program, this may be a great chili for you to check out. Instant Pot White Chicken Chili. All-natural ingredients and a ton of flavor? Count me in. Don’t let chili season pass you by without giving a few of these Instant Pot chili recipes a try. Using your pressure cooker as a way to cook and create not only will help cut down on time, but it also proves how versatile and handy your Instant Pot can truly be. Enjoy yourself a bowl, or two, of these awesome chili recipes, and if you happen to have any leftovers, freeze them for later! If you’re looking for another easy meal you should try this Instant Pot salsa chicken recipe!